Grambling went back to the Eddie Robinson days for inspiration on its new adidas uniforms. A few days after the MEAC champs rolled out their new grey jersey, the SWAC champs decided that going one better just wasn’t going to do. 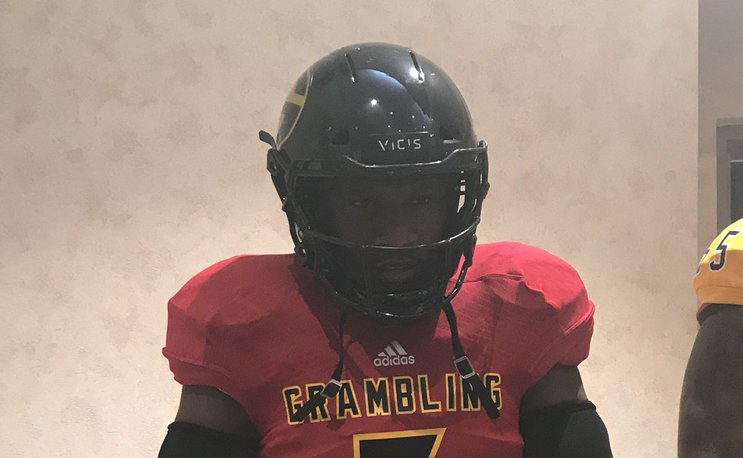 Grambling revealed its new adidas football uniforms and showed that they’ve got the potential for lots of new combinations. Some of them are fire and some of them may be a bit much for those with conservative tastes. Obviously with the switch to adidas following Russell’s mass exodus from the uniform game, Grambling wanted to come out big and make a statement. They went back-to-the future by prominently featuring the red accent color of the Eddie Robinson days. GSU coach Broderick Fobbs explained the significance to his players. Some will love it, some will wish they had left the past in the past, but the red looks like its here to stay. GSU wasn’t the only school whose uniforms we got a first peak of on Wednesday. Virginia State coach Reggie Barlow posted photos of his team’s home and away uniforms by Under Armour. Jackson State hasn’t shown off its new jerseys but it did reveal its new helmet. The helmet includes “Thee I Love” at the neckline.